Businesses own safes to protect valuable items and documents. By storing important papers inside of unbreakable boxes, owners and employees rest easy knowing valuable items won’t be destroyed or confiscated. While individuals use safes to conceal money, personal documents, and family heirlooms, businesses rely on safes to safeguard cash and checks, hard drives, shares, insurance papers, and confidential employee documents – a lot is at stake for companies that lose these imperative documents. Therefore, it’s crucial for businesses of all sizes to invest in the appropriate security devices. Certain businesses will find some safes more useful than others, which is why we provide a large selection for customers to choose from. The size of the safe matters. 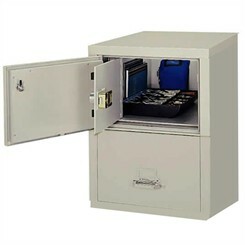 For large businesses or corporations, fireproof file safes are a great option. These safes – which are also filing cabinets – can be filled horizontally or vertically, offering flexibility in terms of placement. They’re useful for storing hard drives and documents that can’t afford to be damaged. Law firms handling classified documents and large businesses housing sensitive employee information will benefit from the use of these highly protective storage units. 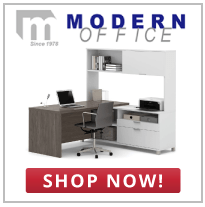 Smaller businesses may consider more compact options for limited space. These safes safeguard important records, documents, and hard drives without being a bulky annoyance. Similarly, our fireproof media vault is a great option for storing small items – specifically media files. House data, storage information, and media in this little, durable vault. Any business with photographic records or computer data on magnetic tape, disk, cartridge, CDs, or removable disks will find this compact and sturdy option quite useful. Lastly, any business, company, or agency is smart to place important items in fire and waterproof safes. In the unlikely event that a fire or natural disaster occurs, papers can be safely recovered with minimal damage. Most of our safes offer one-hour protection when exposed to a fire of 1700 degrees. Dealing with the aftermath of a fire or flood is stressful enough. Why not take the precautionary steps to ensure your most vital information stays in tact? Consider both size and function when investing in a safe. The vault you choose will likely depend on your line of business and the duties specific to your trade. After the research has been done and your safe is installed, sleep easy knowing your business’s most important documents and items are well protected. Contact us today and allow our experts to help you find the safe that will best meet your needs. We look forward to serving you.